We’re seeing quite a few changes on the new GRE – different question types, an on-screen calculator and much more. These changes will cause a drastic change in your test-taking experience. One of the best ways to get acclimated to the new GRE is to take mock tests. In this post, I’m going to highlight the mock test functionality in the new GRE product from Magoosh and ETS’ Powerprep 2. 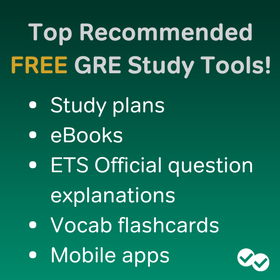 With the new GRE product from Magoosh, you can create personalized mock tests to simulate the GRE experience. After you log into your Magoosh account, click on “Practice” in the header. When taking the new GRE, you will face two types of sections: math and verbal. In each section, you will be required to answer a mix of question types. Rather than choosing a specific type of question (e.g., Text Completion), I recommend you choose either math or verbal from the section list. Choosing a specific question type is great for practice, but not for mock tests, because it doesn’t simulate the actual GRE experience. Creating a practice session with specific subjects is great when you are honing your skills in one subject area (e.g., Geometry). However, when you want to simulate the GRE, choosing all subjects makes your mock test more realistic. Unlike the old GRE, the new GRE will no longer be adaptive by question. However, choosing adaptive for your difficulty level ensures you will see questions of various difficulty levels during your mock test – just as you would on the actual GRE. By selecting unanswered for your question pool, you guarantee you will only see questions you have not yet answered. If you select any other option, you may see questions you have already answered. This can give you a false sense of improvement on your timing. The old GRE had 28 questions for the math section and 30 for the verbal section. The new GRE has 20 questions for both sections. To simulate the new GRE, choose 20 questions when setting up your mock test. Choosing fewer than 20 questions is okay, if you are short on time but want to get familiar with the new GRE. The old GRE allowed 30 minutes for verbal and 45 minutes for math. The new GRE allows 30 minutes for verbal and 35 minutes for math. Choose these options to best prep yourself for test day. As with the number of questions, the time limit can be adjusted if you want to get a taste of the new GRE, without taking a complete mock test. In quiz mode, you’ll be able to skip over and return to questions just like the actual new GRE. In practice mode, you have to answer questions one by one without skipping. In quiz mode, you won’t see your results until you complete the mock test. In practice mode, you see the answer and explanation for each question as soon as you answer it. Taking mock tests with Magoosh is a great way to starting learning about the new GRE. However, I also highly recommend downloading ETS’ Powerprep 2. ETS is the maker of the GRE – its practice test functionality is second to none when it comes to simulating your actual GRE experience. If you are just starting out, I recommend using the Test Preview option (as shown below) rather than doing a fully-timed test. Save the timed test for when you are more comfortable with the new GRE material. Practicing with mock tests will help you familiarize yourself with the new question types, skipping and returning to questions, the on-screen calculator and much more. Don’t be afraid to dive in and see how you do. Once you set your baseline, you can create more focused practice sessions to improve your areas of weakness. To sign up for the new GRE product from Magoosh, click here. If you have any questions or tips about mock tests, feel free to comment below. Hi, I am looking for some mock tests for my preparation. Does magoosh have only mock test for preparation? Hi Abhishai – we don’t offer only mock tests, since they are integrated with our explanations and lessons. However our Premium subscription comes with up to 4 mock tests (the questions come from the same pool of 1000 questions used for practice.) You can learn more here: http://gre.magoosh.com/plans. I hope that helps! Hi Abishai – good question! We don’t offer a mock test only plan, because our tests are integrated with our video explanations and video lessons. 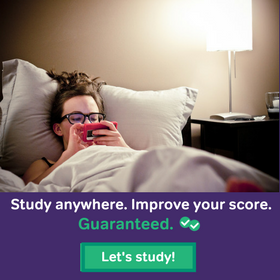 However, you get up to 4 practice tests with our Premium plan. The test questions are pulled from the same 1,000+ questions used in practice. You can learn more here: http://gre.magoosh.com/plans. I hope that helps! I have signed up for magoosh entire course. You mentioned about the beta feature “Take a practise test”, I would like to know how many such tests are available ? And in the Practise tab, how many such adaptive tests can we generate and are the questions different from the ones found in practise section ? Happy to help! You can turn on the beta feature by going to your profile and clicking the Beta Feature button. After which, you will have access to the “Take a practice test” link on your Dashboard. With Magoosh questions, you can create about 5 unique tests. However, the mock tests use the same pool of questions as regular practice. It’s likely a reflection of your performance. We do have various difficulty levels within each difficulty setting so the questions are likely adjusting a bit. For complete mock tests, just go to your profile and click the Turn on Beta Features button. You will then see a “Take a practice test” link on the Dashboard. And please give us feedback. We’re waiting for some feedback before we release mock tests out to everyone. Thanks much for the reply. If and when I do end up taking a practice test, I will be sure to give you feedback. How can we take the full tests with magoosh and how many full tests can we take? Currently you can simulate the sections of a full test using the tips in this article. However, we’ll be releasing complete mock test functionality within a few weeks. I’ll post a comment here when we do. Just checking in to find out if you’ve released the complete mock test funtionality yet. The complete mock tests are available but are in beta mode as we refine them. Just go to your profile, and click the Turn on Beta Features button. You will then see a “Take a practice test” link on the Dashboard. these tests are free or paid? You can signup at gre.magoosh.com. We have over 700 practice questions from which you can create quite a few mock tests. 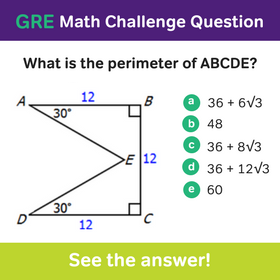 And we have video explanations for all the questions, along with 200 additional videos that teach all the fundamentals covered on the GRE. Let me know if you have any questions. Thanks!